Welcome to Dentistry by Isaac Gabay! Regular dental hygiene visits are essential to keeping your teeth and gums healthy and to determine if periodontal disease is present. Research has determined the accumulation of tarter that leads to periodontal disease may also contribute to heart disease. Our team of dedicated hygiene professionals will focus on providing you with the highest level of care to ensure optimal oral health and to advise you of the onset of periodontal disease or other serious conditions. A typical hygiene visit includes the scaling and polishing of your teeth and a comprehensive diagnostic examination. The exam includes an extensive screening for other serious conditions that may be pre-existing in your mouth. We check for oral cancer, tooth clenching and grinding, tooth brush abrasion and the deterioration of old crowns, bridges and fillings. Our hygiene team in conjunction with Dr. Gabay thoroughly explains the best course of treatment for you. To learn more about our preventative hygiene programs, please contact our office. 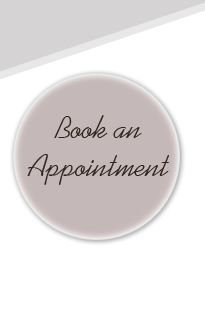 We will be happy to answer your questions and arrange a convenient appointment time.